NEW OPO ROUTE: Replaced withdrawn section of Route 69. Converted to Leyland Titan operation. Sunday allocation transferred to Leyton (T) using single deck Nationals. 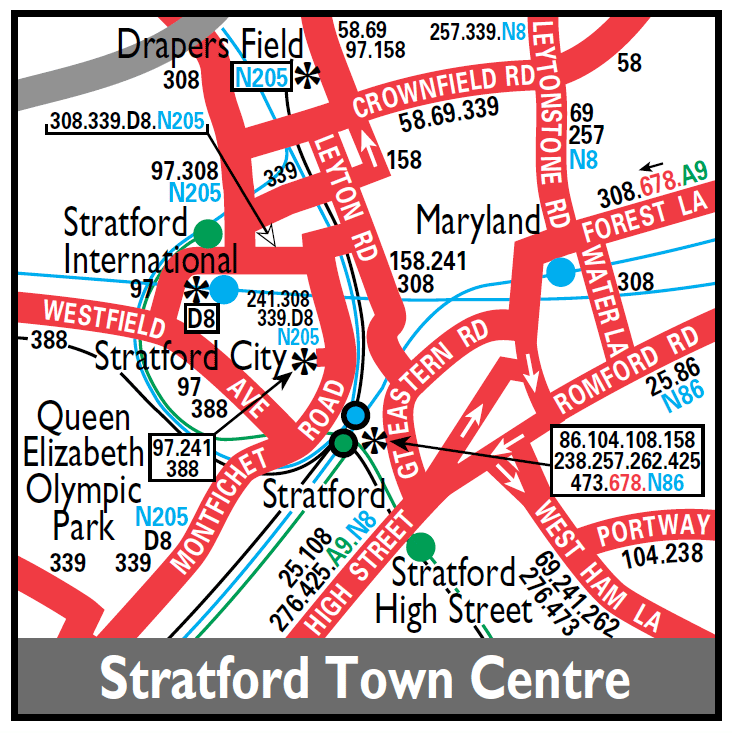 Route withdrawn - replaced by Route 69 revision. Converted to low floor operation. 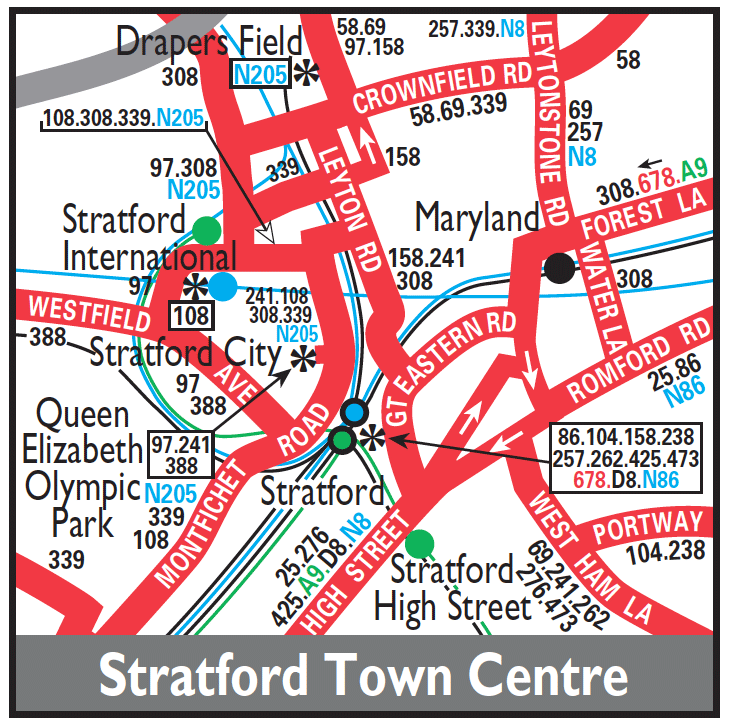 Extended from Leyton to Stratford City. 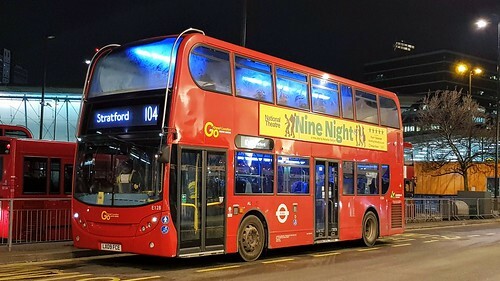 Go Ahead London Enviro400 E128 is seen on stand at Stratford Bus Station awaiting departure on route 104 to Manor Park. Driver changeover point was at Chingford Mount drivers used ferry vans from there to the garage.